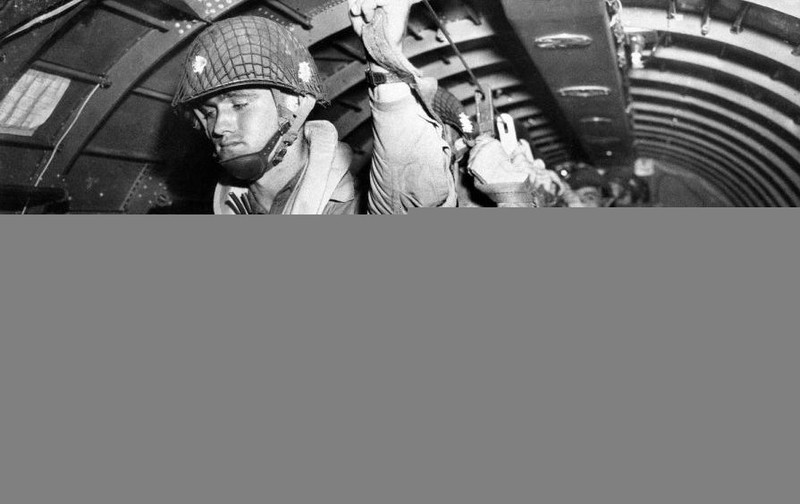 Operation Albany is the troop transport mission of the 101st Airborne Division led by General Taylor. It aims at capturing several key points during the night of June 5-6, 1944, to ensure the success of the amphibious operations on Utah Beach. To this purpose, three major objectives are defined by the Allies: to seize the routes connecting the beach to the inland, to seize key points, to control the road nodes and localities of the area, and finally to control the bridges over the Merderet and the Douve rivers. These actions are carried out in conjunction with the 82nd Airborne Division. This operation is part of several airborne missions for the 101st Airborne in Normandy: in chronological order on D-Day, this assault begins with Albany (00:20 on June 6th, 1944), continues with operation Chicago (04:00) and ends with operation Keokuk (9 pm). The vectors of the Albany mission are 432 C-47 Dakota aircraft belonging to the 50th and 53rd Troop Carrier Wings (TCW). These aircraft are responsible for transporting the Pathfinders and 6,928 parachutists of the division. Each of the parachute infantry regiments (PIR) is transported on board three to four formations (called “serials”). These serials are composed according to the cases of 36, 45 or 54 C-47 and are spaced apart by six minutes over the drop zone. 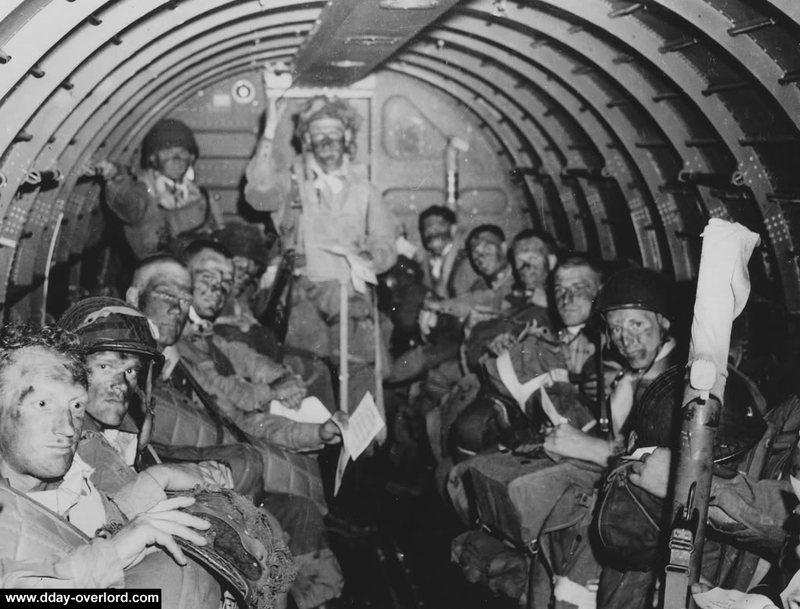 On board the Dakota, the paratroopers form a “stick” of 15 to 18 men according to the transported equipment. 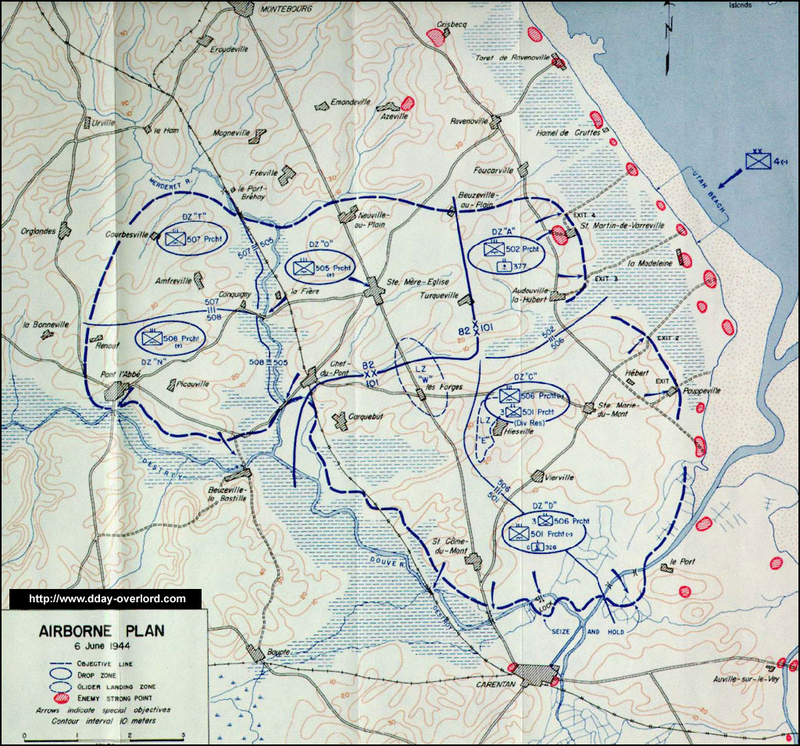 The 101st Airborne Division drop zones are located east of the RN 13: DZ “A” is located north of Turqueville and Audouville-la-Hubert and is dedicated for the 502nd Parachute Infantry Regiment in order to seize causeways 3 and 4. DZ “C” is for the 1st and 2nd battalions of the 506th Parachute Infantry Regiment and the 3rd battalion of the 501st Parachute Infantry Regiment. It is located north of Hiesville and aims at seizing causeways 1 and 2. DZ “D” is located south of Vierville and is dedicated for the 1st and 2nd battalions of the Parachute Infantry Regiment and the 3rd battalion of the 506th Parachute Infantry Regiment, in charge of seizing Saint-Côme-du-Mont and bridges over the Douve river. The total DZ represents an area of 39 square kilometers. The DZs must be prepared by the Pathfinders who are responsible for tagging them to guide the aircraft during their approach phase. They are equipped with “Eureka” beacons that send pulses picked up by the “Rebecca” transceivers installed under the fuselage of the C-47s. The Pathfinders teams consist of one lieutenant, four signal operators and four paratroopers responsible for team security during operations. They are dropped into enemy territory without initial marking, simply based on terrain observation and navigation calculations on the Dakota. C-47s are scheduled to take off early Monday, June 5, 1944 from the various airfields. The 50th TCW is distributed as follows: the 439th Transport Carrier Group (TCG) is located at Uppotery, 440th TCG at Exeter, 441st TCG at Merryfield and 442nd at Fulbeck. For the 53rd TCW: the 434th TCG is at Aldermaston, the 435th TCG at Weldon Park, the 436th TCG at Membury, the 437th TCG at Ramsbury and the 438th TCG at Greenham Common. The Americans of the 101st Airborne Division are opposed to the Grenadier Regiment 1058 and the Artillery Regiment 191 of the 91. Luftlande Infanterie-Division (commanded by General Wilhelm Falley), as well as to the Grenadier-Regiment 919 of the 709. Infantry Division. The first serials carrying the Pathfinders took off from England at 10:30 pm on June 5, 1944. The Dakota fly at low altitude (150 meters) in order to avoid being spotted by German radar echoes. The axis of approach of the planes is on a south-west/north-east axis and the squadrons carry out a wide bypass of the Channel Islands in order to take the right trajectory. Once above the Cotentin Peninsula, pilots of the C-47s face an important cloud mass and a thick fog that mask the Norman landscape and make orientation work difficult. To this must be added the firings of the Flak, the German anti-aircraft artillery. The Pathfinders encounter serious difficulties during their installation, which caused serious complications for the subsequent drops. 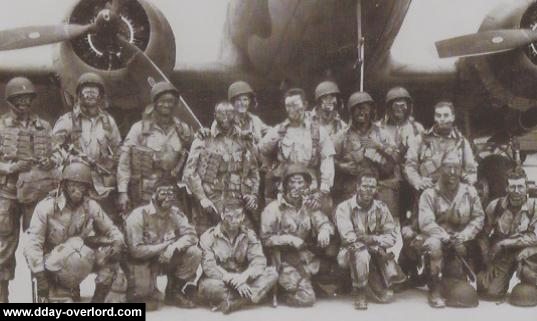 The first of them reach Normandy at 12:16 am on Tuesday, June 6, 1944: the paratroopers of the 502nd PIR and commanded by Captain Frank Lillyman land nearly two kilometers north of DZ “A”. From their position, they install the Eureka beacon and await the arrival of their unit. For DZ “C”, the result of the three teams’ drop is very uneven: one of them is parachuted almost to the intended location, another landed southwest of its objective near the town of Hiesville while the last is dropped over the sea. On DZ “D”, the situation is critical: the Pathfinders teams are dropped to the right place but the Germans are on the same spot and immediately start the fight. They are not able to install the markup for future airborne operations. The parachutes on DZ “A” after the arrival of the Pathfinders start at 00:48. The beacons are in place but two kilometers further north: the 2,510 paras of the 502nd PIR and the 377th Parachute Field Artillery Battalion (PFAB) land too far north of the DZ. Only three sticks are dropped on target, including the commander of the second battalion of the 502nd PIR, Lieutenant-Colonel Steve. A. Chapuis, who begin the assault the battery of Saint-Martin-de-Varreville. 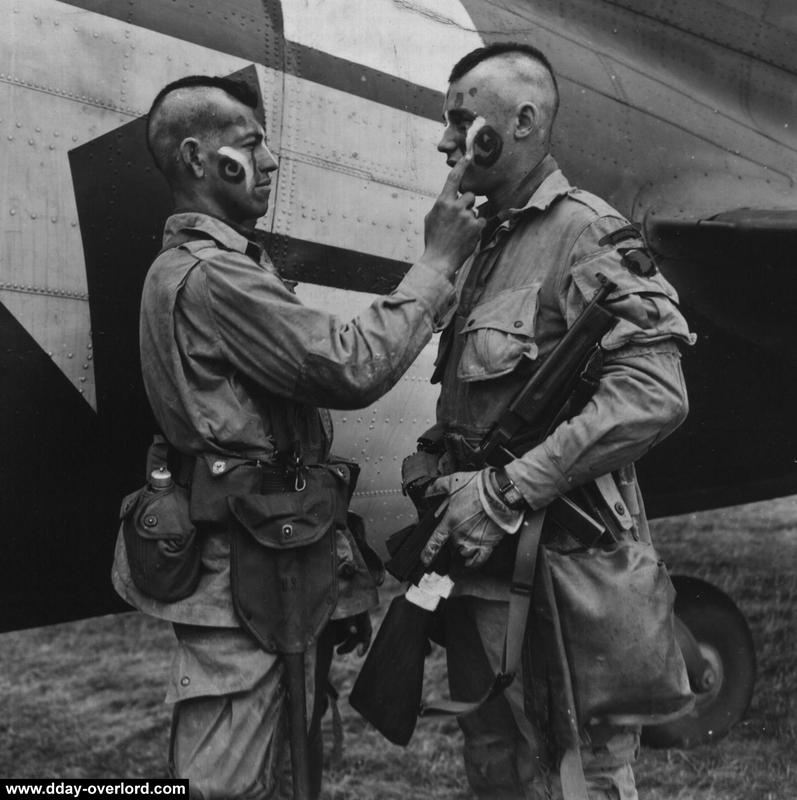 The 1st and 3rd battalions of the 502nd PIR are left alone and the two battalion commanders strive to bring together as many individual paratroopers as possible to carry out their mission. Lieutenant-Colonel Cassidy commanding the 1/502 captured Saint-Martin-de-Varreville and installed a line of defense between Beuzeville and Foucarville under the orders of S/Sgt Harrison C. Summers. Lieutenant-Colonel Cole of 3/502 moves to Sainte-Mère-Eglise and then Saint-Martin-de-Varreville to causeway number 3 which is reached at 7:30 am. The 377th PFAB meets the worst dropping results with a single howitzer available and 52 of the 54 sticks dropped to beyond 5 kilometers (and up to 32 kilometers) of DZ “A”. DZ “C” serials face a large anti-aircraft artillery barrage during their passage over the Cotentin Peninsula. This artillery barrage, which is not very precise but very dense, disorient the pilots and cause a feeling of panic within the flight formations held by these 81 C-47s. Three of them are shot down before the beginning of the drop. 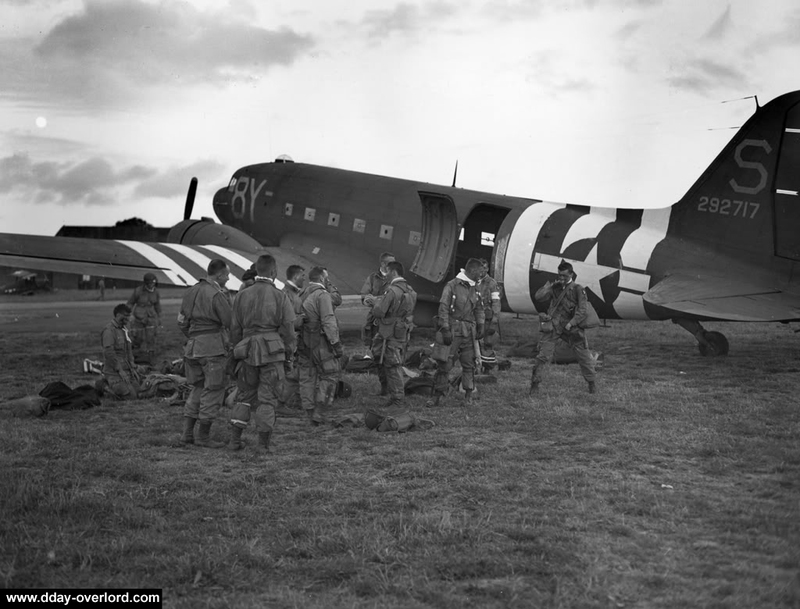 The first battalion of the 506th PIR is parachuted in correct conditions: two-thirds of the battalion are dropped directly on the DZ or less than a kilometer away. The 2nd battalion of the 506th PIR is parachuted too far west of Sainte-Mère-Eglise and must gather near Foucarville before resuming the road in the direction of causeway number 4, at Houdienville. During the morning, a patrol of Easy Compagny (2/506) led by Lieutenant Richard D. Winters destroyed four 105 mm howitzers belonging to the 3rd Battalion of Artillery-Regiment 191 located near the manor of Brécourt. Causeway number 4 is reached in the middle of the afternoon (this pavement is already under the control of the 4th American infantry division on their arrival). Colonel Robert Sink, commander of the 506th PIR, sets up his command post in the town of Hiesville near Sainte-Marie-du-Mont. It is also in this village, in the manor of Colombières, that General Taylor has installed his. The 3rd battalion of the 501st PIR is also scattered over the Cotentin, far from its drop zone. It was General Taylor himself who, with a parachute force equivalent to a company led by 3/501 battalion commander, Lieutenant-Colonel Julian J. Ewell, reached causeway No. 1 at Pouppeville at 06:00 and then engaged a violent and long battle against the infantrymen of the Grenadier Regiment 1058. Around noon, the exit is under American control. 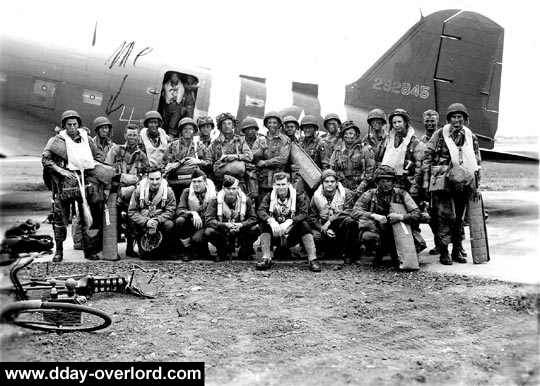 Later in the morning, elements of the HQ company of the 506th PIR (under Captain Lloyd E. Patch) and the Charly company (commanded by Capt. Knut H. Raudstein of 1/506) seize a battery of four 105-mm howitzers located at the Holdy site, south of Sainte-Marie-du-Mont. Colonel Sink sent three Jeep to retrieve the guns of the Holdy but a platoon of the 502nd PIR in charge of securing the site destroyed the three howiters before the arrival of American vehicles. Like DZ “C” drop series, aircraft heading towards DZ “D” are caught in intense anti-aircraft fire during their crossing of the Cotentin, causing the destruction of six C-47s. Two-thirds of the paratroopers in this sector (94 sticks out of a total of 132) are dropped at the right place or in the immediate vicinity of the DZ. The paratroopers headed for their objectives: the bridges over the Douve river and Saint-Côme-du-Mont. 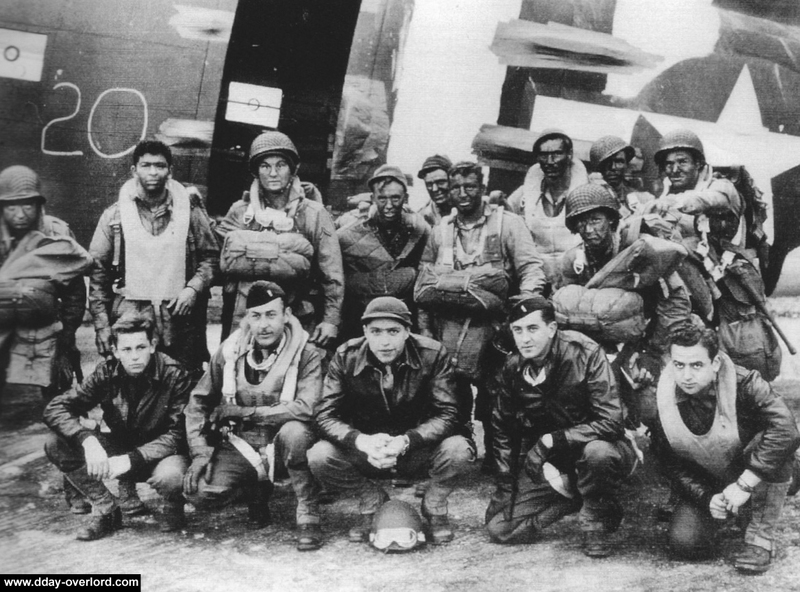 Colonel Johnson, commanding the 501st PIR, seized the Barquette lock at about 4 am with 150 paratroopers. Further west, Lieutenant-Colonel Robert A. Ballard commanding the 2nd battalion of the 501st PIR moved with about 250 soldiers in the direction of Les Droueries near Saint-Côme-du-Mont. South of his position, Major Richard J. Allen and 50 men stormed the opposing defensive positions. But the Germans of the 3rd Battalion of the Grenadier Regiment 1058 defended themselves with relentlessness and delayed the American advance. The paras are pinned down to the east of the RN 13 and fail to break through the German lines. Johnson then puts the stress on the west towards Saint-Côme-du-Mont with a hundred paratroopers but despite all their efforts and the support of the canons of the USS Quincy off Utah Beach, the Germans hold on and Lieutenant-Colonel Ballard remains isolated against the Droueries. The 1st Battalion commander (501st PIR), Colonel Robert C. Caroll, was killed during the D-Day fights. To the south-east of the DZ “D”, the 3rd battalion of the 506th PIR took position starting at 4:30 am around the wooden bridges over the Douve river at the location called Les Moulins, west of Brévands and Le Port. The battalion, gathering in the first hours the equivalent of a platoon, is gradually reinforced at daybreak and throughout the day of June 6th by isolated paratroopers from the 101st. The difficulties encountered by the Pathfinders during their installation, the bad weather conditions and the intensity of the German Flak fire considerably hinder the parachuting of the 101st Airborne Division on the Cotentin Peninsula. Most of its forces are scattered throughout the territory and some sticks were dropped to more than forty kilometers from their objective: this is especially the case for one of them who was parachuted in the vicinity of the Pointe du Hoc. The human losses are particularly high and the same is true for material losses, especially in the field of signal equipment. Many equipment is damaged or lost during airborne operation. The paratroopers accomplish with a formidable energy their different missions. The Germans, disorganized by American random parachutes, are unable to trace the exact contours of the opposing positions and their objectives like the 21. Panzer Division versus the 6th British Airborne Division. Not mastering this information, they are not able to counter-attack in a coordinated and effective manner. The lack of general officers on D-Day in the Cotentin weighs heavily in the balance, especially as General Falley commanding the 91. Luftlande Infanterie-Division finds death shortly before sunrise in a embush involving paratroopers of the 508th PIR of the 82nd airborne division. Most of the tasks entrusted to the division of General Taylor are fulfilled even if, in detail, certain objectives remain beyond the reach of the paras. When the 4th Infantry Division begins its landing on Utah Beach, three of the four causeways are under the control of the paratroopers of the 101st Airborne Division, the whole of the four causeways falling into the hands of the Americans only in the early afternoon. The paratroopers seized the bridges on the Douve and the lock of the Barquette but remained unable to control Saint-Côme-du-Mont on the evening of June 6, 1944. The southwest flank and the control of the bridges on the Douve became the absolute priorities of General Taylor. In order to reinforce its positions in personnel and additional equipment, the 101st Airborne Division launches the second part of its assault on the Cotentin with operation Chicago starting at 4 o’clock in the morning on June 6, 1944. This reinforcement was made with the landing of 52 Waco gliders on Landing Zone “E” west of Hiesville. Operation Chicago is itself followed on D-Day at 9 pm by a new airtransport assault by gliders: operation Keokuk.